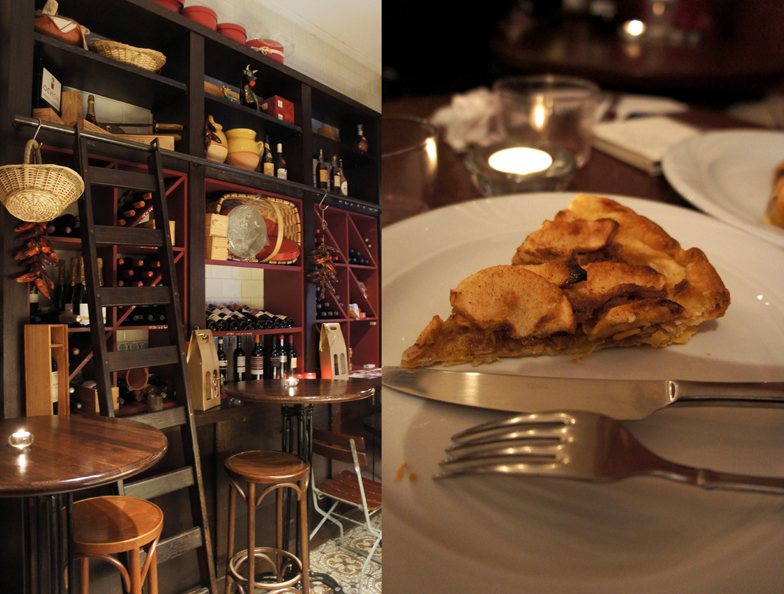 El Vasco is a tiny Basque wine bar in the Chatelain. There isn’t much room inside, only what is needed, and when the sun comes out, we’d sit on the terrace with a plate of tapas. 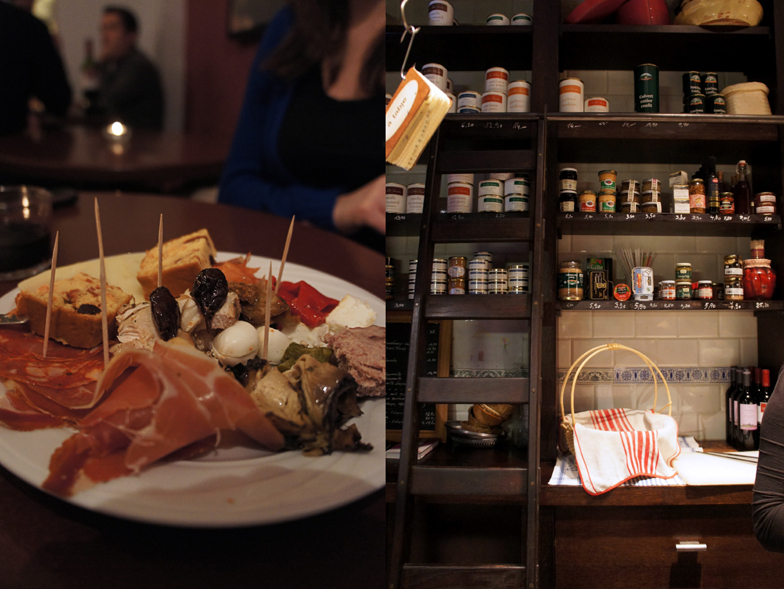 You can compose the tapas plates yourself, behind a counter where you’ll see all the products, and the price will be estimated by weight. 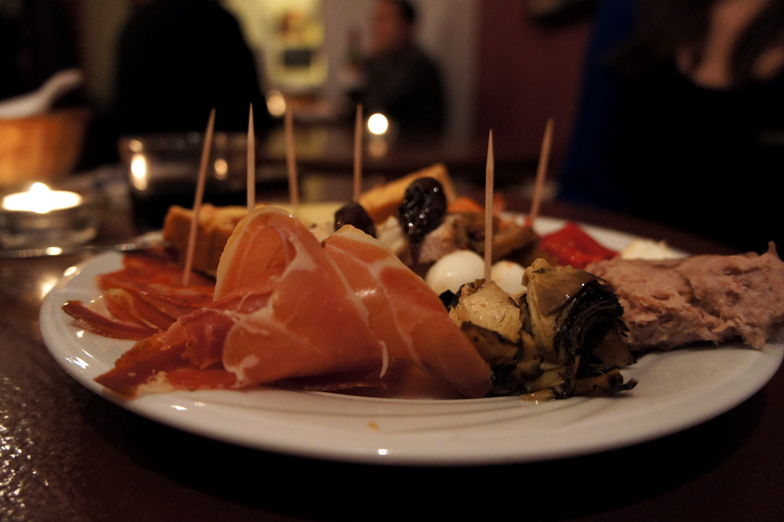 Olives, Serrano ham, duck rillettes, chorizo, marinated and grilled artichokes, goat cheese stuffed peppers, homemade olive cake, mozzarella… only the best products! For a pretty full plate, I think we payed about 13 euros. 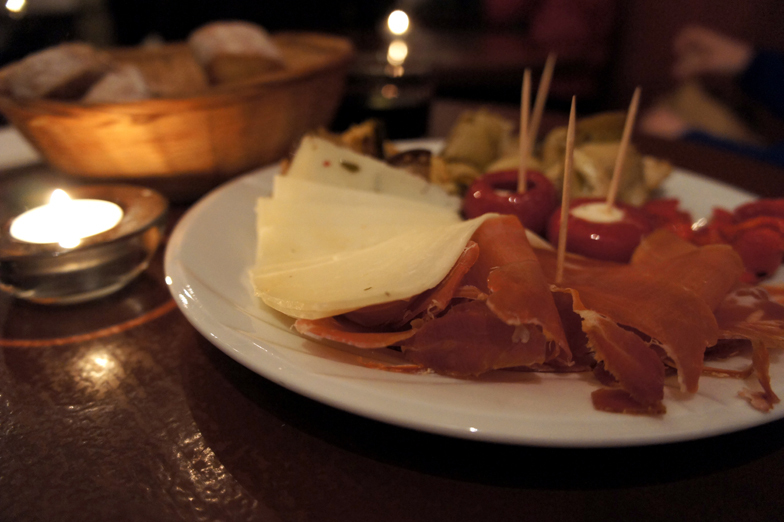 It’s the kind of bar where you come to have a drink and where you end up canceling your dinner reservations, order a second plate of tapas, and finish the night all happy. Apparently, they also do amazing sandwiches for lunch, which I haven’t had the chance to try yet but I wouldn’t question the quality. You can fill them with the same products from the counter, and they are reasonably sold for 3,80 euros. compliments on your lovely site! 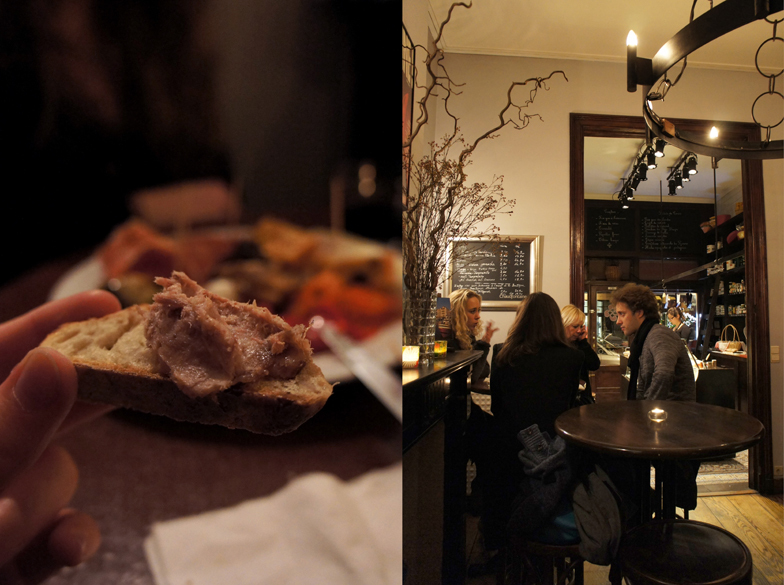 On El Vasco, I must say I have often been very disappointed with the (lack of any decent) service…as is the case with many other places in Brussels, I might add.